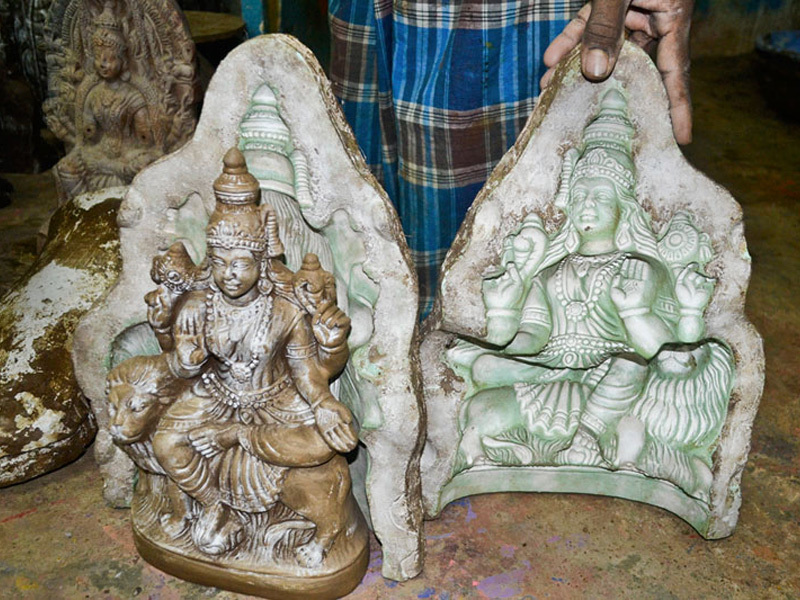 Clay figures or terracotta is made all over Tamil Nadu. 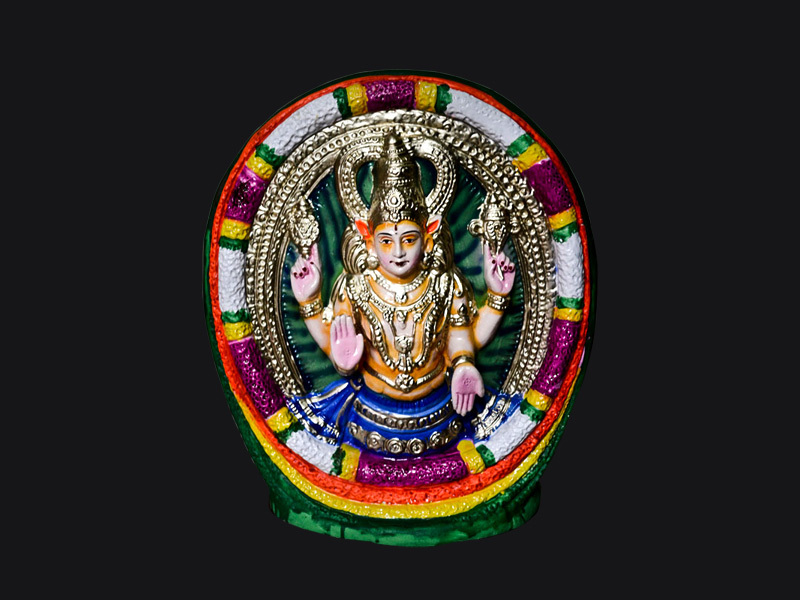 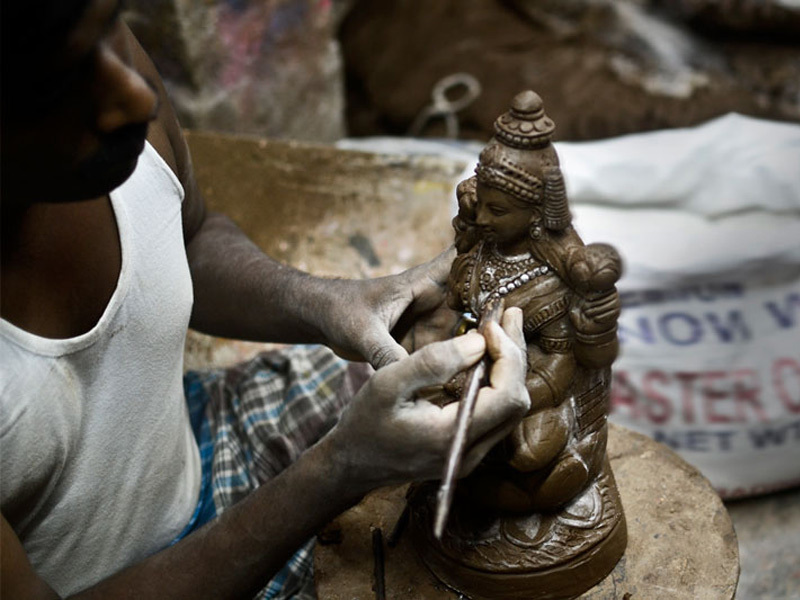 To make the idol, first pop powder is sprinkled inside the mould to avoid contacting with the clay. 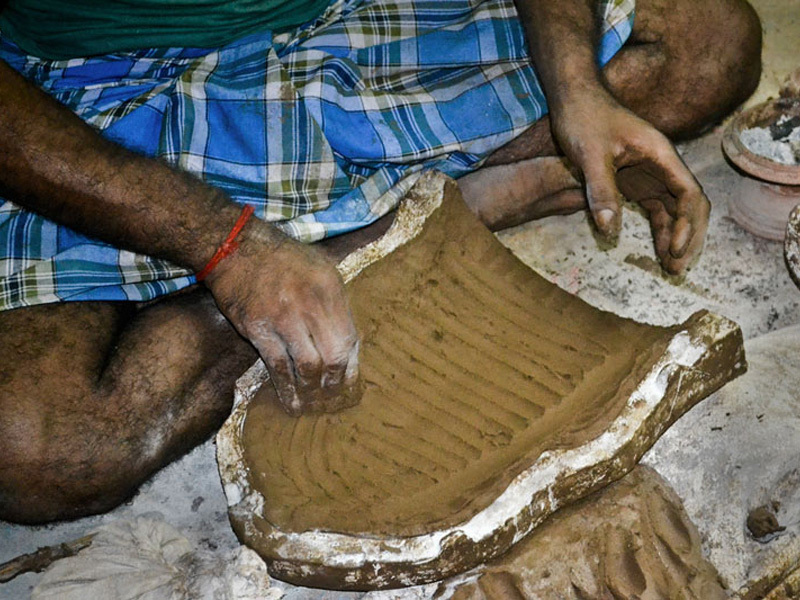 After that clay is rolled into strips and placed inside the mould. 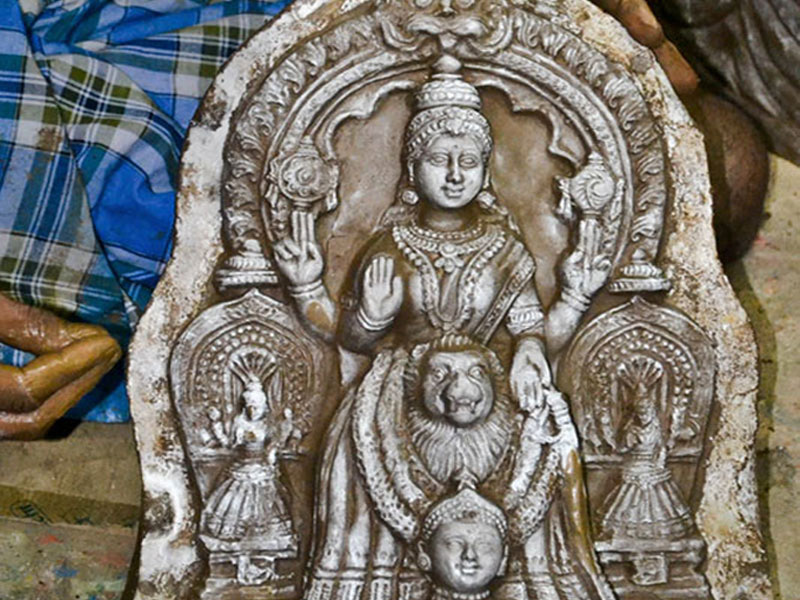 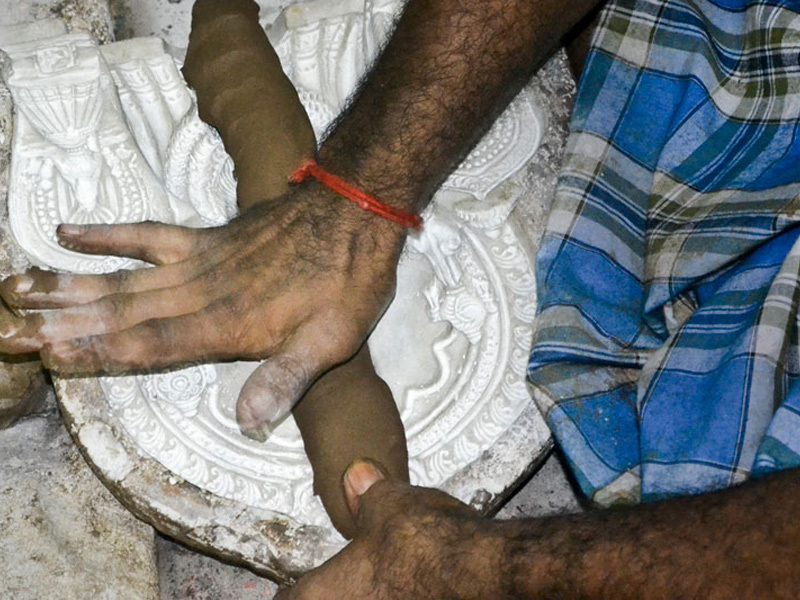 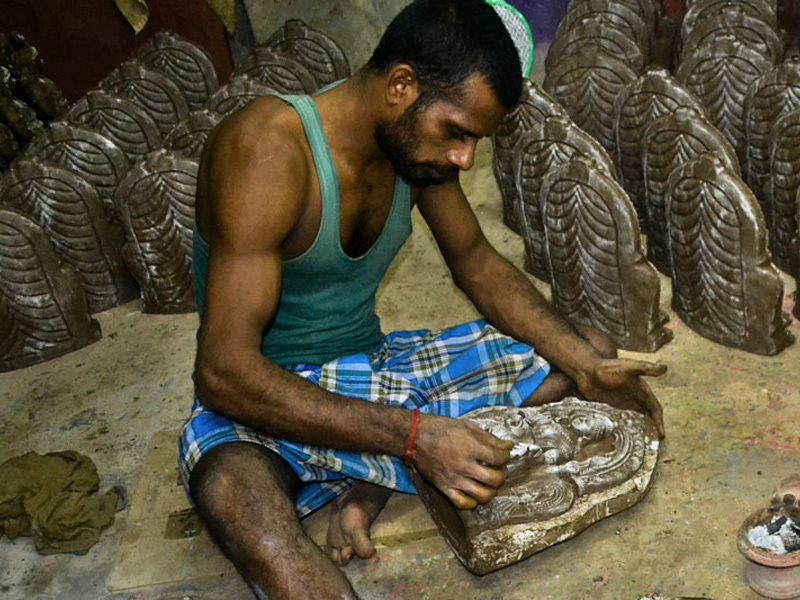 The two clay filled moulds are joined and pressed to fix the corners of idol. 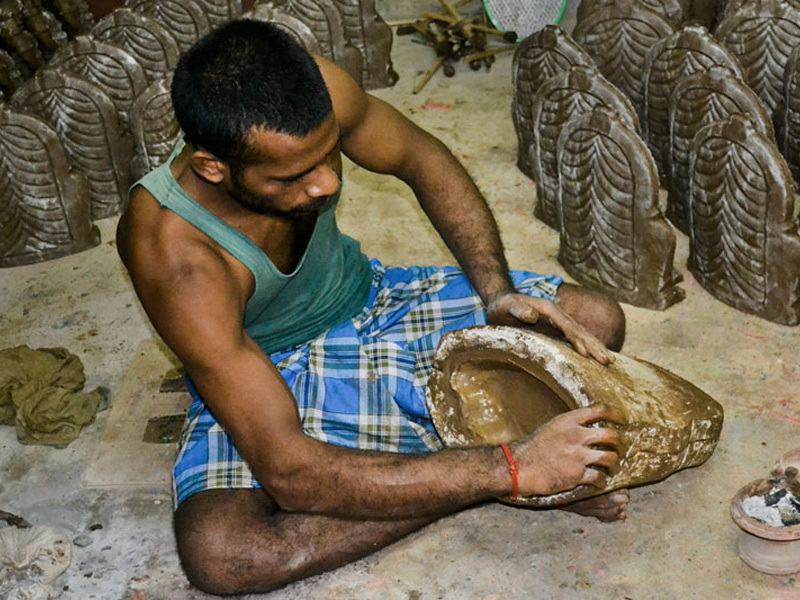 After the model is ready it is carefully removed from the mould. 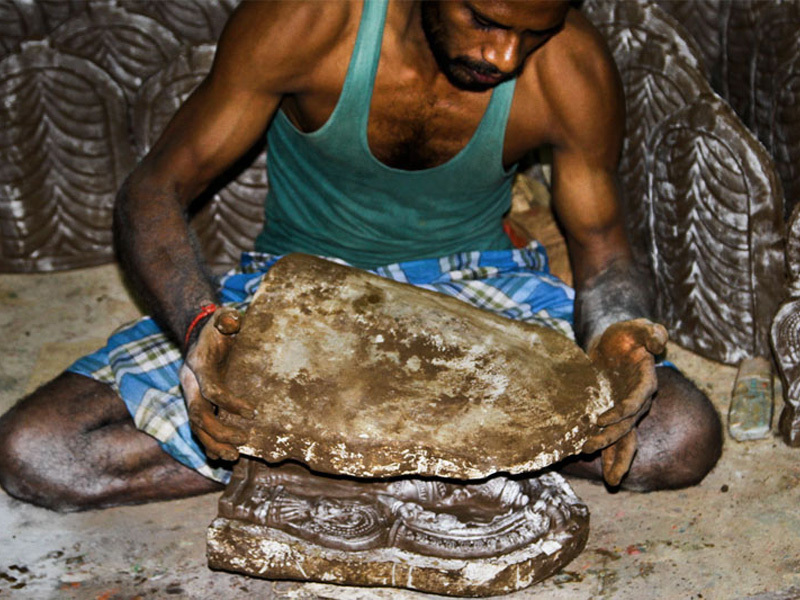 The artisan checks for the breakages and fills the cracks with clay pieces. 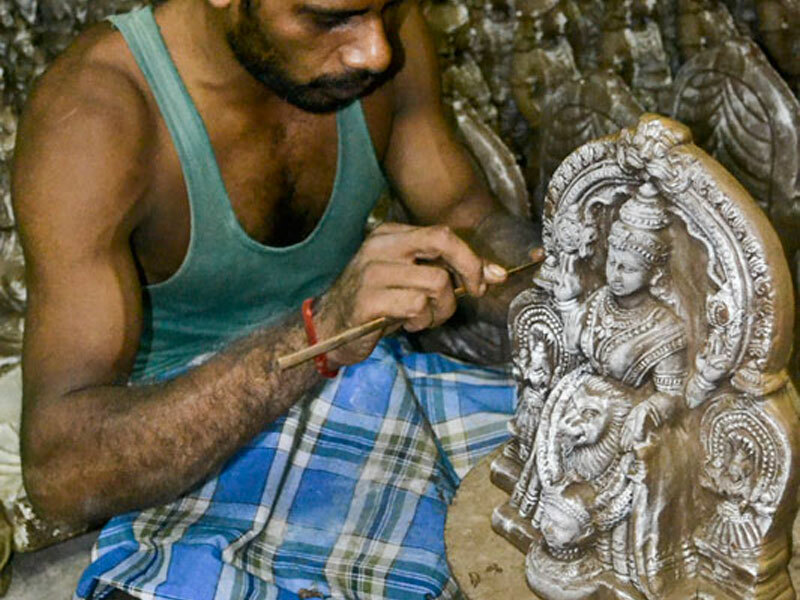 The shape and details of the model are also checked and corrected using the sculpting tools made of bamboo. 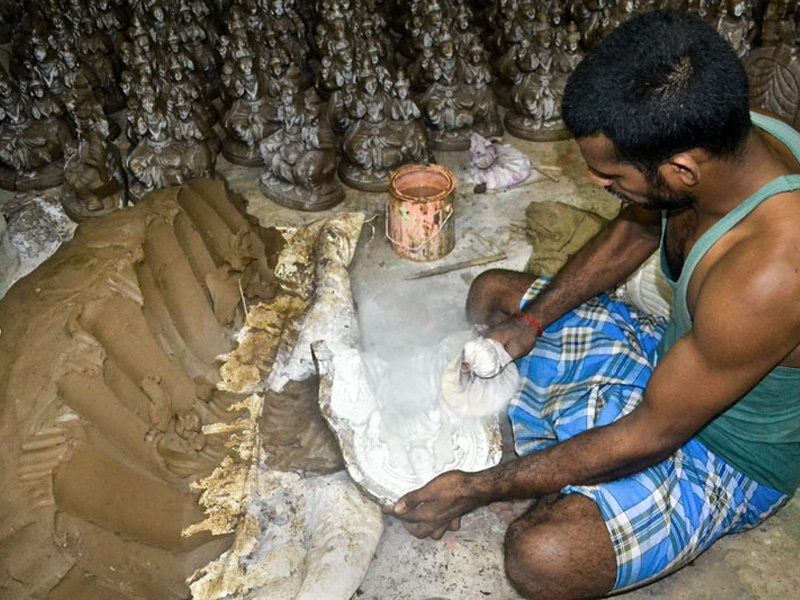 The prepared idols are dried in room temperature. 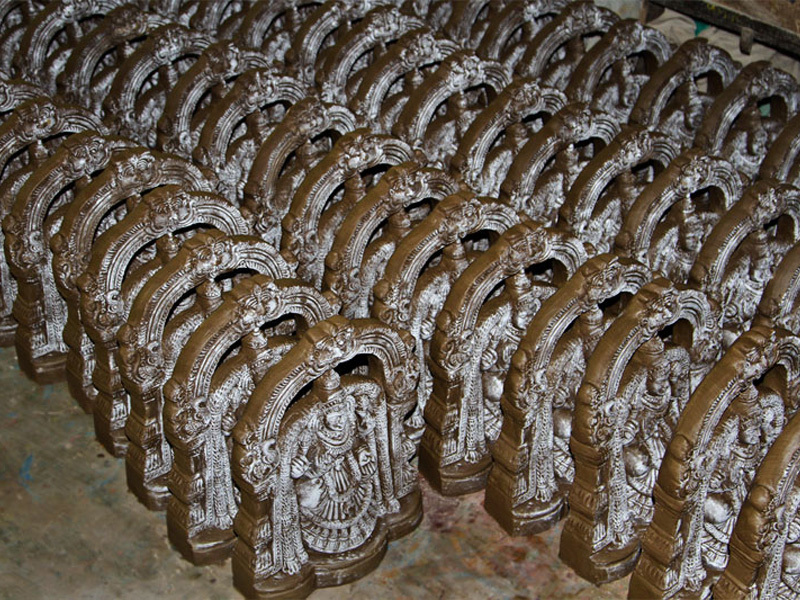 Then a mixture of red mud and water is applied on the dried idols and kept in the sun to dry.